Description: The mission of Paddle Golden Gate is simple; to offer high-end professional paddlesports instruction and a quality event experience in a truly unique location. This remarkable venue provides a challenging coastal environment with strong currents and powerful swells for advanced skills training alongside protected water appropriate for novice and intermediate paddlers to develop their skills. On Saturday, Aug. 13 and Sunday, Aug. 14 Helen will be teaching several rolling clincs. Although the focus of the classes is on Greenland style rolling, anyone is welcome to attend. She’ll be teaching whatever people want to learn (first rolls, off-side rolls, layback rolls, forward finish rolls, norsaq rolls, hand rolls… whatever). For me, paradise is found in cold climates with lots of clean, icy, salty water. So when I was asked to teach at an event in Iceland I was thrilled. 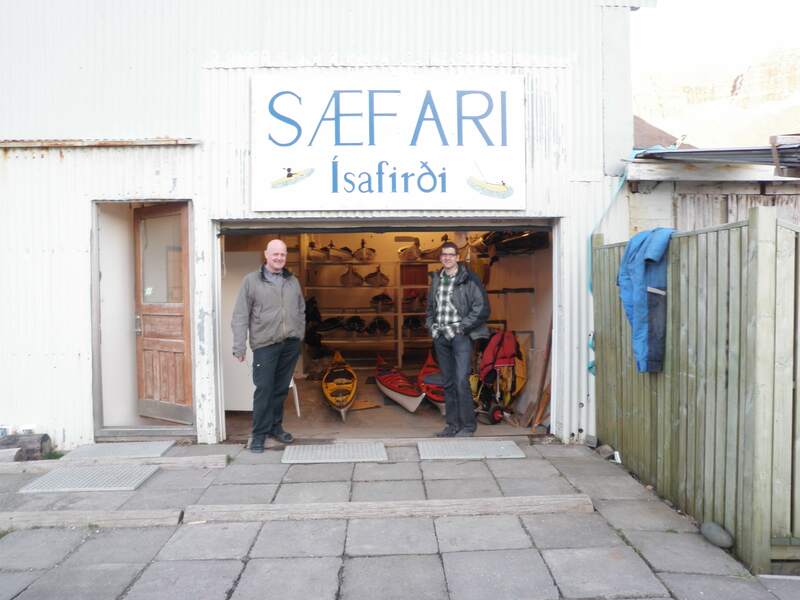 I had never been to Iceland and didn’t know what to expect, but I had a feeling that it would be an adventure. I woke early (very early) on the morning of May 9 and began the long journey. Four flights later I was in Iceland, although because of a volcanic ash cloud that prevented landing at Keflavik, the plane landed on the opposite side of the country as originally planned. 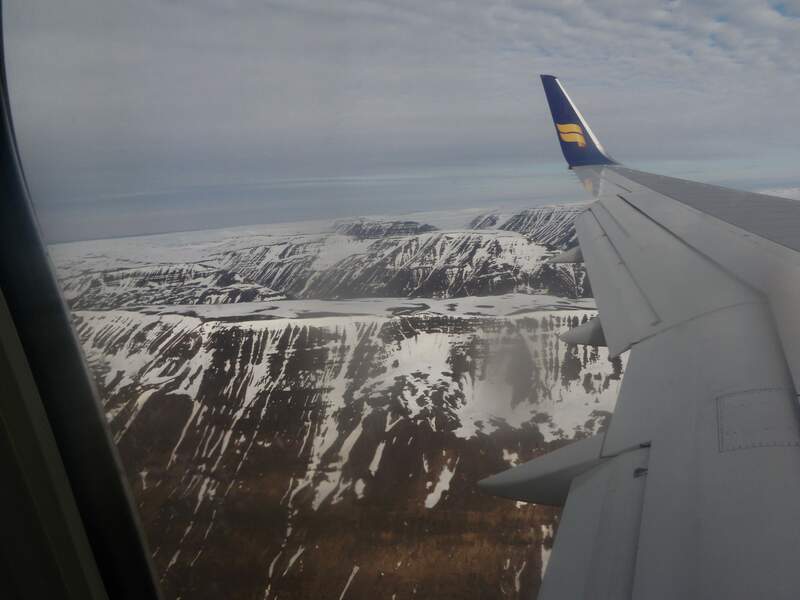 My first sights of Akureyri from the small plane window took my breath away as the plane landed in a long and narrow valley between steep snow covered mountains. I had checked the weather forecast before coming so that I would pack accordingly, but that first breath of icy air told me that I had underpacked for the land part of my adventure. 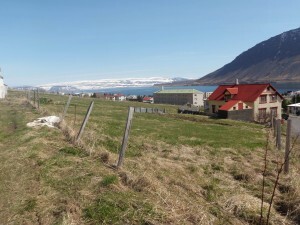 The original plan was for me to travel to Reykavik and drive to the kayaking event with one of the organizers, Ingi Sigurðsson, but because of the airport change, it was easier for me to get to a town called Ísafjörður, located in the western fjords, and only about a 90 minute drive from the kayaking event taking place the following weekend. I got a ride with a French photographer and skier named Colin. He had picked up three other “stray people” who had traveled from Hungary, and the five of us loaded our gear into a small rental car. After about five minutes, Colin wanted to stop for breakfast. I was exhausted and wanted to get to my destination, but instead smiled and walked into the cafe, getting my first look at the delectable treats that are common in Icelandic cafes. After breakfast we continued on our way, stopping at a few locations to take pictures and breathe the cold air. I was very tired and was feeling very out of it but I realized that I was in a beautiful place and it was actually a great thing that I was traveling with someone who wanted to take his time getting to the final destination. Colin had decided to take the Hungarian hitchhikers all the way to their stop, even though it was a detour for us. In the small town we said our goodbyes and Colin and I went into the tourist office to look around. 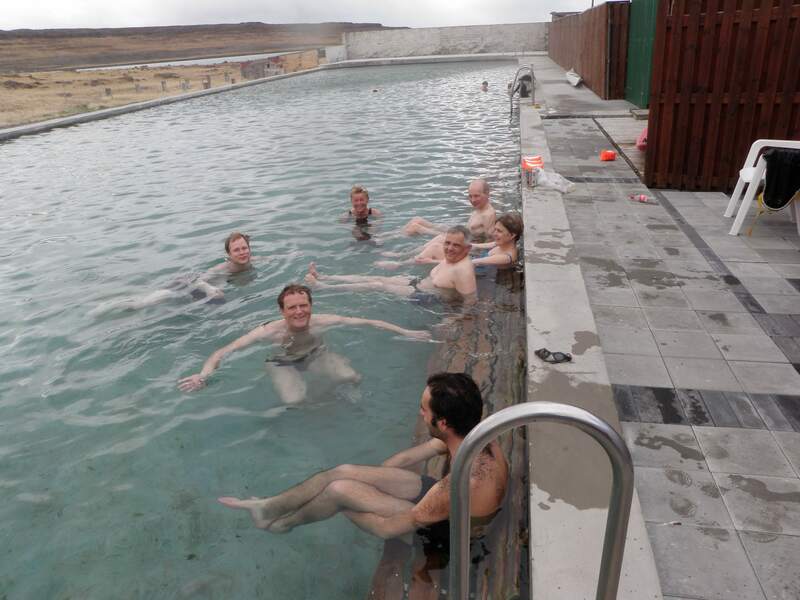 Colin told me that just about every town in Iceland has natural hot springs, and he asked around to find out where the nearest ones were. We were told to travel 20 kilometers and three horse gates down a dirt road. By this point I was smiling at Colin’s casual attitude toward travel and was looking forward to a hot soak in a natural tub. After a wonderful soak I walked around a bit, still amazed by the gorgeous landscape and thinking how lucky I was to have the opportunity to travel to places such as these. I had left home over 35 hours ago and still hadn’t slept, and after the soak I got into the car and quickly dozed off. 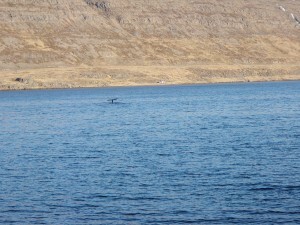 It wasn’t long before Colin woke me, and I opened my eyes just in time to see the blow from a humpback whale in an inlet. Colin drove off-road toward the water and we both jumped from the car to take pictures before continuing on. One more stop for lunch and several hours later we arrived in Ísafjörður. I said goodbye to Colin and met up with Halldor, another event organizer. He took me to the town’s kayaking club and introduced me to some other kayakers. It’s always amazing to me that no matter where I travel the same enthusiasm surrounds kayaking clubs, and a group of kayakers who have no history together can instantly become the best of friends. 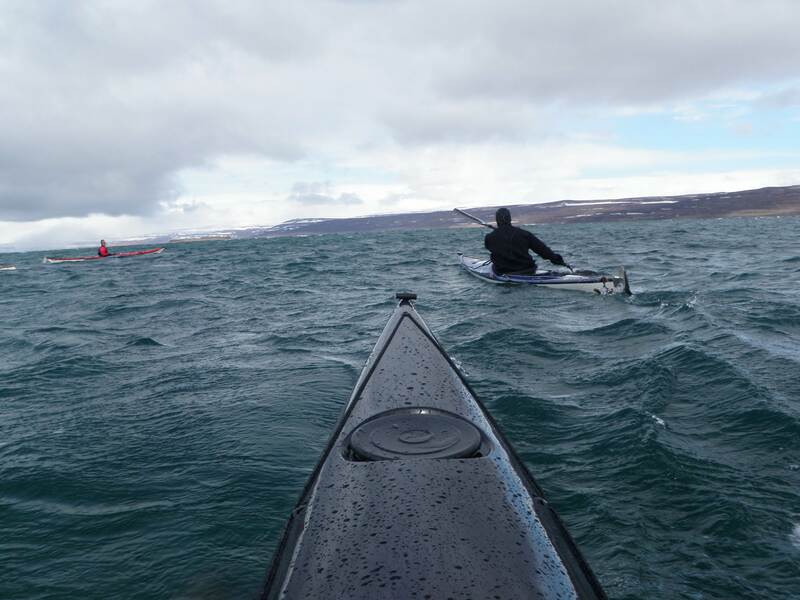 I sat in Halldor’s skin-on-frame qajaq and chatted with him about kayaks and kayaking. Then he took me to his house, where I spent the rest of the evening with him and his family before settling in for a much needed night of sleep. The next day I woke to an empty house and decided to go and explore the town. I was immediately glad that I’d brought my warm Outdoor Research down jacket and squeezed the hood tight around my face. The town isn’t very large, but the shops are charming, and after a roll with butter and cheese and a hot cup of coffee, I proceeded to walk around. I was surprised that everyone spoke English, and once again, as I always do when I travel, I told myself that I need to learn another language. That evening I asked Halldor’s wife, Helga, if there is a trail into the mountains, and she pointed to one across the inlet and suggested that her or Halldor give me a ride to the trailhead the following day. In the morning I woke and decided that instead of getting a ride around the inlet I would walk. The journey was much longer than I had anticipated, but I was in no hurry and took my time, stopping to take pictures and to try to pronounce the words that were written on signs. I smiled at a sign with a picture of a town with the words Ísafjörður appearing on it. The same sign (without the words) and a line drawn through it sat on the opposite side of the street facing the other direction, signaling that those who passed it were no longer in town. I came to the trailhead and began a very steep climb up the mountain. I stopped a couple of times to take in the scenery, then continued up, my feet crunching in the patches of icy snow. 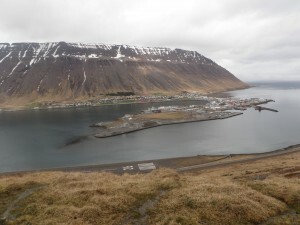 Finally I reached the top and turned to see the small town across the inlet and below me. 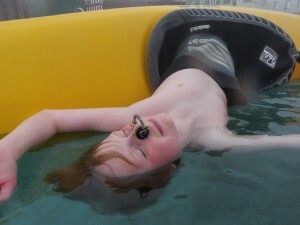 That evening I relaxed in Halldor’s handbuilt sauna. The next evening we all drove to the kayaking event, Reykjanes Vorhittingur. It takes place at a charming old boarding school that has since been converted to a hotel. The building was built over a geothermal pool to keep it warm. 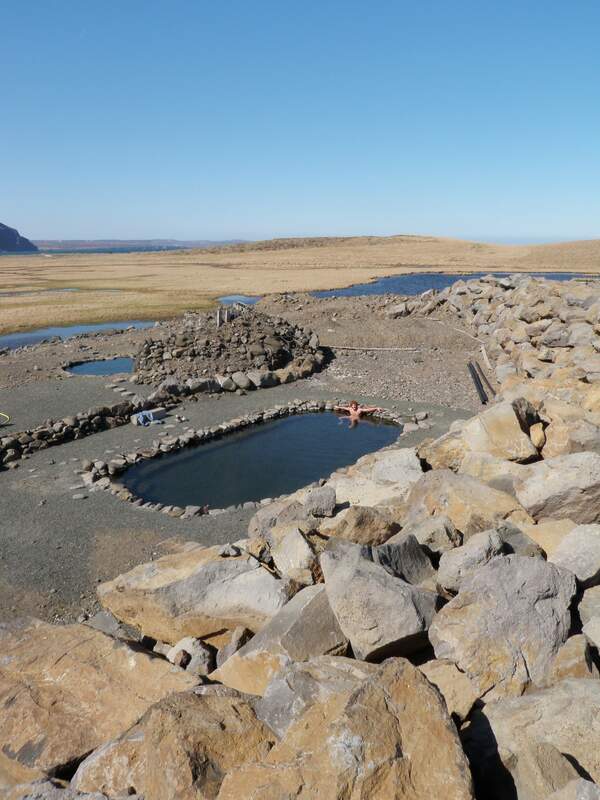 It wasn’t long before all of the kayakers were laughing together in a very large geothermal pool outside. 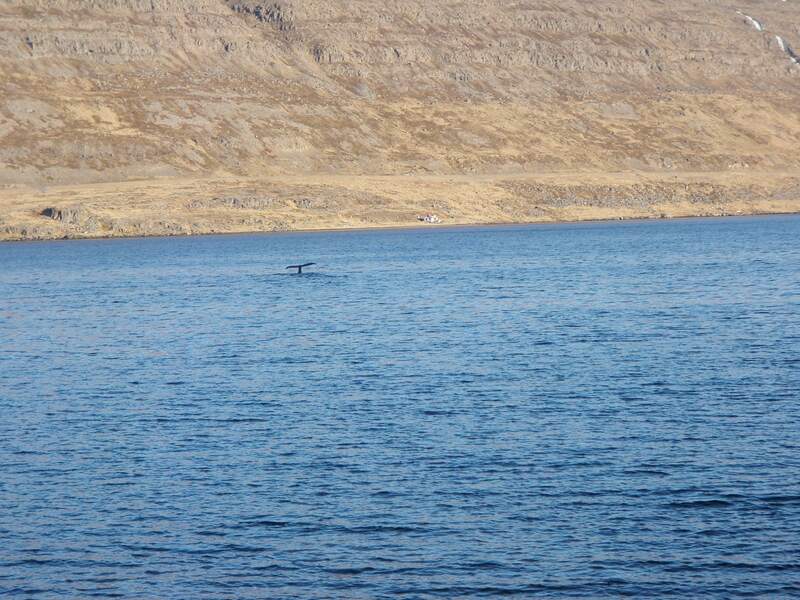 It was strange to me to be in a place where the air is so cold, and the water so warm, and I laughed as I realized that I’d be teaching in a bathing suit instead of my usual get-up of several layers of fleece under a drysuit. What was even stranger was when several snowflakes fell from the sky, melting instantly as they touched the steaming water. Typically at events like this, I teach group rolling classes, but the kayakers here were more interested in private classes, so I set classes up beginning every hour and lasting 45 minutes. I was amazed at the skill level of these kayakers. Most had rolls on both sides and proved to be very competent in wind and a strong tidal race in the open water next to the hotel. Over the next three days I worked with many people on their rolls in the warmth of the warm geothermal pool. Between classes I’d get out, throw my Kokatat Storm Cag over my bathing suit and drink hot beverages in the icy air. Everyone that I worked with was delightful, and I had a wide range of students, that included several small children. 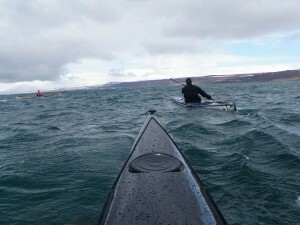 On the fourth day I taught a group class and then went on an open water paddle. The wind had picked up, and we spent some time playing in the wind generated surf. After a while we all headed back in to eat fresh puffin, drink red wine and pack up our things. 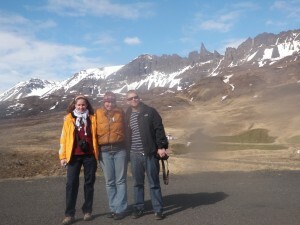 I was riding with Ingi and his wife Eve to Reykjavik and had a flight home the following day. 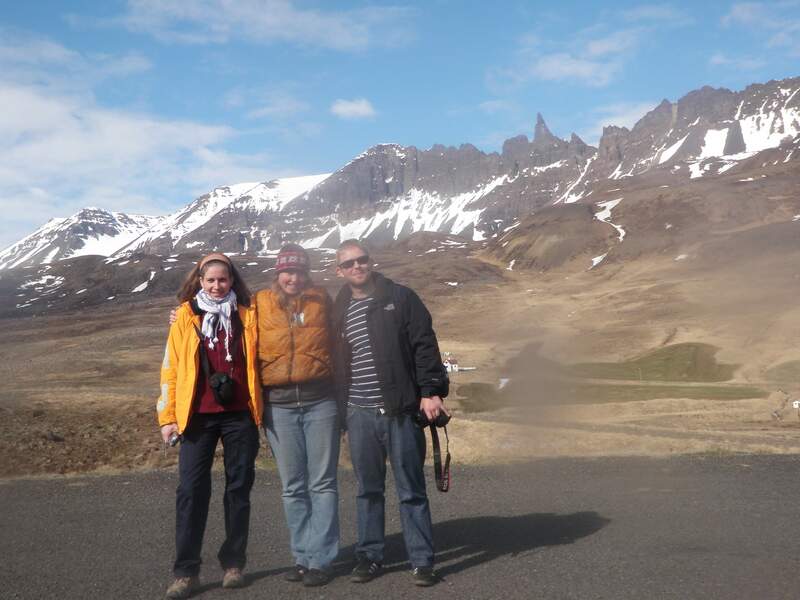 It was a beautiful drive from the northwest tip of Iceland to the southern region. Once we got to Reykavik, the capitol city, I was surprised by the change in the landscape. 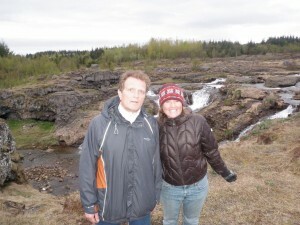 There were trees, streams and a lot more people than in the other Icelandic cities that I’d visited. 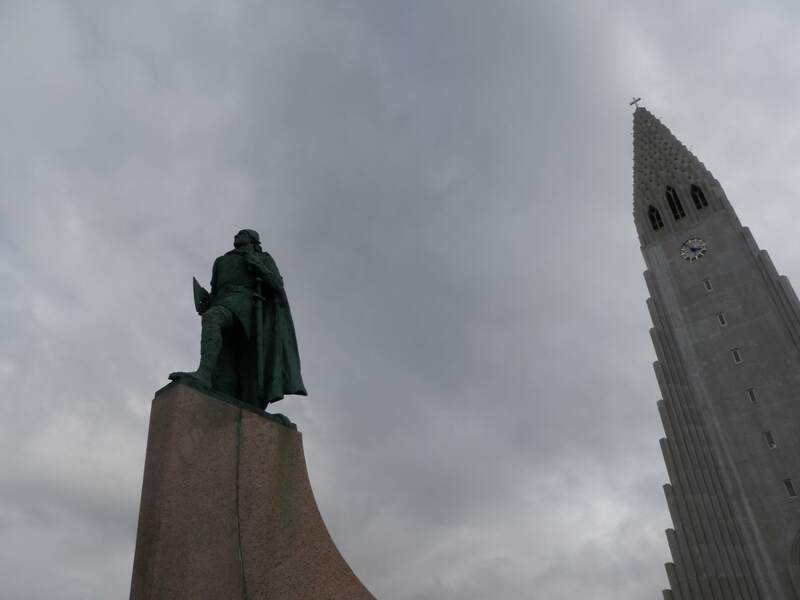 (Iceland is home to 300,000 people, with 60 percent of them living in, or around, the capitol.) Ingi and I went on an evening walk under the midnight sun. We looked at a gorgeous waterfall, beautiful trees surrounding a walking trail and a little alcove on the grass where his children liked to play when they were little. We walked past a naturally heated swimming pool with both an indoor and outdoor section that had an impressive waterslide looming above it. The following day I found out that my flight had been cancelled due to volcanic ash in the air. I got a ride into the center of Reykavik to re-book my flight and all of my connections, then explored the city. I went in the shops, talked to locals and was tempted into buying a traditional Icelandic sweater. During a conversation with a local I asked, “If you had one hour in this town, where would you go?” The response was immediate, “to the top of the church.” Up the hill there was an impressive church, with an inexpensive elevator ride to the top where it was possible to see the entire town of Reykavik from every angle as well as the gorgeous water surrounding the town. I had seen an ad to explore the country by horseback, and decided that would be a fantastic thing to do the following day. 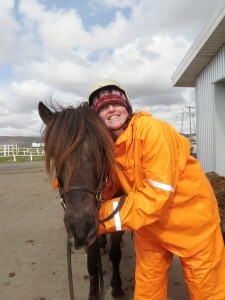 Ingi helped me make the reservation and the following morning I took a bus to some stables about 30 miles out of town. My companion for the day was Foxy, an Icelandic horse that had a personality of his own. 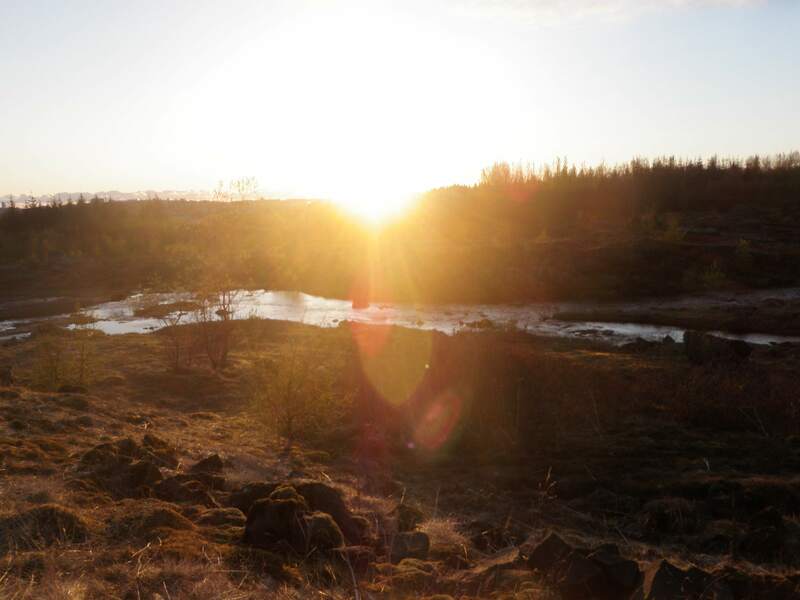 We explored the riverbed and the surrounding hills, and I headed back to Ingi’s house with a smile on my face. Eve, who was originally from France, prepared a delicious traditional French dinner. 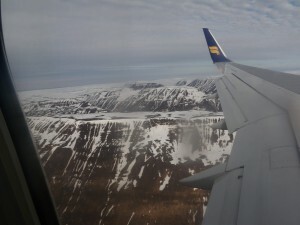 The following day the airspace opened up over Keflavik and I began a long, but still adventurous, journey home.